According to Ayurveda, pitta—the dynamic principle of heat—is necessary to maintain life, but during the summer when our bodies can easily become overheated, pitta gets out of balance. Too much heat can trigger a host of physical problems, including acne, headaches, and hyperacidity. If you wake up at three or four in the morning and can’t fall back to sleep for an hour or longer, Ayurveda says it’s a sign of excess heat in the body. An aggravated pitta response in the mind often manifests as hypercritical and over-controlling behaviors. The emotions respond to being overheated with irritability, anger, and even aggression. When you think about it, you’ve probably experienced at least one, if not several, of these symptoms by the time August arrives every year! Some of the tips that follow are well-known folk wisdom, such as eating watermelon on a blistering day. Others may not have occurred to you, so I hope you’ll engage with some of these suggestions to help you stay cool—and keep your cool!—all summer long. Eat melon but not with other foods—even with other fruits, if you have weak digestion. Melon alone is cooling; melon with other foods can create toxins in the gut. Cook with cooling herbs and spices. 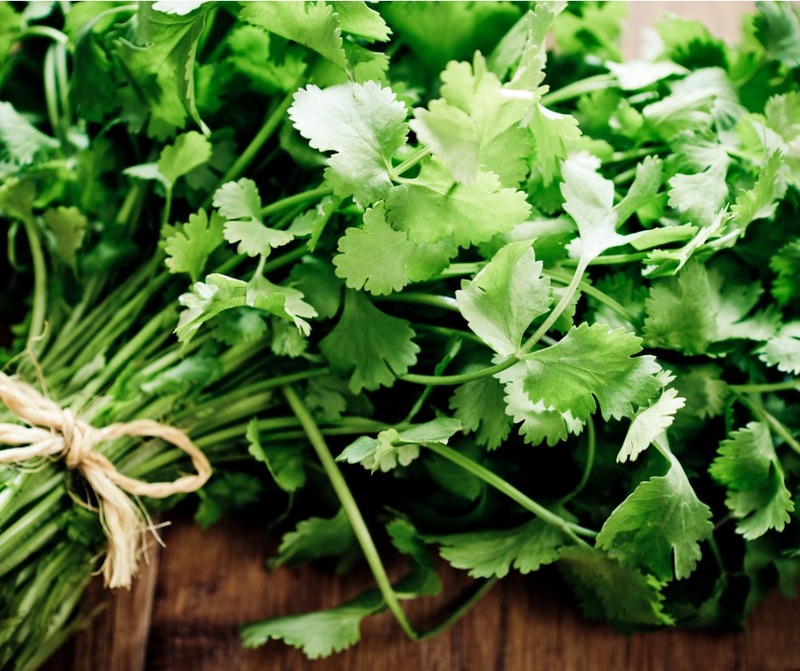 These include fresh mint and cilantro as well as coriander, fennel, and rose water. Enjoy cucumbers and lettuce salads—inherently cooling foods. Summer is the one time of year that Ayurveda relaxes its primary dictate to avoid raw foods, which are cooling. Here is one stipulation: seed the cucumbers for easier digestion! Avoid sour foods and condiments, such as tomatoes, vinegar, and lemon. (You can switch to lime, in moderation.) And if you can’t avoid sour foods altogether, then reduce the amount you eat. Avoid pungent foods, especially chilies, cayenne, hot sauce, and horseradish. Also eat smaller quantities of ginger and garlic, which are also heating. If a recipe calls for 4 or 6 cloves of garlic, use 1 or 2. Drink peppermint tea to cool your metabolism. Or try this Ayurvedic formula of steeping equal amounts of cumin, coriander, and fennel seeds in boiling water along with fresh peppermint or peppermint tea bags. This tea recipe (minus the peppermint) is one that I learned at the Ayurvedic Institute in New Mexico. Spray rosewater on your head, face, and body if you’re outside for an extended period. It will help keep you cool and its anti-inflammatory properties help prevent acne outbreaks during the summer. Be liberal in your application of this fragrant remedy! Be calm, be cool, and take some time to relax this summer to keep pitta in balance! P.S. Try this cooling avocado cucumber soup! It’s delish!